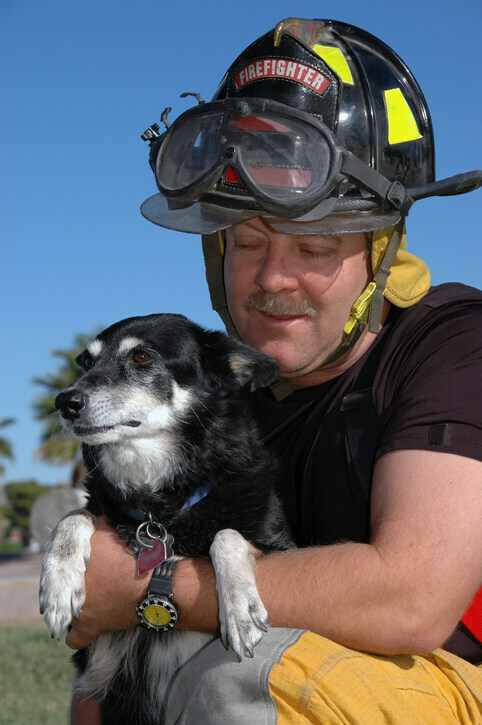 Firefighters, law enforcement officials, and paramedics now receive a discount on initial Camp Bow Wow franchise fees. Meet part-time, New Jersey Police Training Commission Certified Humane Law Enforcement Officers, Frank Rizzo and Steve Shatkin. These two heroes have dedicated their lives to animal cruelty prevention. They spend their nights and weekends investigating allegations of animal abuse throughout New Jersey and have saved the lives of countless innocent animals. We can’t think of a more rewarding way to spend your free time! “Frank and Steve have done exemplary work for the animals of New Jersey. We are so inspired by their courageous acts and want to extend our deepest gratitude to them, as well as to potential franchise owners who have spent their lives going above and beyond in their communities, ensuring everyone — two and four-legged, are living happy and healthy lives.” —Christina Russell, President of Camp Bow Wow. Rizzo and Shatkins are slated to open their Camp Bow Wow location in Northern New Jersey in 2018 — and as you can guess, they’re wagging their tails with excitement! The two can’t wait for the opportunity to offer high quality doggy day care and boarding services to pet parents in their area. Who qualifies for the Public Protector Discount? This discount applies to new Camp owners with at least two consecutive years in the aforementioned fields. So, if you’re a public protector and are ready to romp and roll with the Pack, call (870) 600-2713 or fill out the form below to receive a complimentary executive summary. We’ll be right here, anxiously wagging our tails and waiting to welcome you into the Camp Bow Wow family! For more information about the new program, check out the full press release on PR Newswire.